Just wanted to drop you a quick message to say an absolutely enormous thank you for your help on Monday. It was such a weight off my shoulders knowing you were there to get everything set up and sorted for the film, and I can’t tell you how grateful I am. Apologies for not being able to say goodbye at the end, it was all a bit manic! 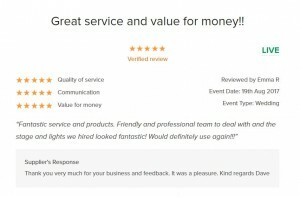 My dad used Tornado event hire for his 80th birthday celebration, as he doesn’t have fb he asked me to post his review….. I needed a projector, speaker and screen for showing a DVD at a birthday party. Found Tornado on the internet who were extremely helpful. They arrived at the venue at the arranged time, set up the equipment, and came back at the arranged time to dismantle equipment and take it away. Their charge was reasonable, and important to me , a technical ignoramous, was that they spent time and were patient in explaining how I were to work the equipment. Excellent service. We recently used Tornado Event Hire here at Reeds Rains for a corporate event and have used them for a number of conferences and parties previously. 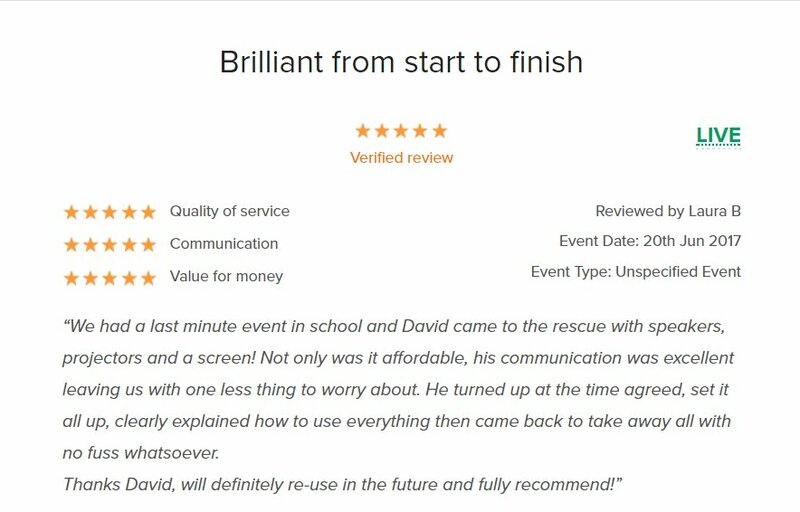 Dave and the team are consistently always professional, welcoming and excellent in what they do. The stage set up, the lights, the music, the photo booth and all the added extras went perfectly as always. 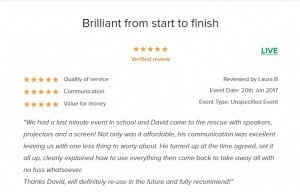 I would highly recommend Dave and the team. Thank you for helping to make our events so successful. European Watercare Ltd, Harlow, Essex – September 2017. Gazebo, DIY Disco and Lighting. Wedding, Ayot St Peter, Hertfordshire – August 2017. Stage and Lighting. Thank you again for everything last night. The client was really happy and thank you for doing it so last minute. Best wishes, Jade Comben. Events Manager. 3Fox International Ltd. November 2016. Thank you so much for not only providing service very last minute, but very efficiently! The set up was quick and easy, hassle free and everything worked great! Kind Regards, Charlotte Blizzard-Welch. PA to the CEO. Citizens Advice Stevenage. October 2016. Kind regards, Sam, Administrator. Letchmore Contruction Ltd. Graveley, Herts. September 2016. 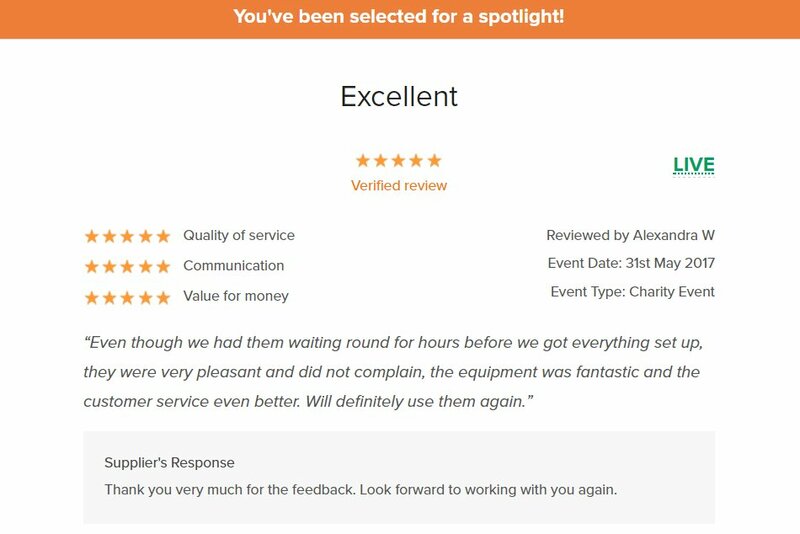 Out of all the companies that I contacted about my party ‘Tornado Event Hire’ were the most responsive, helpful and above all the most reasonably priced! 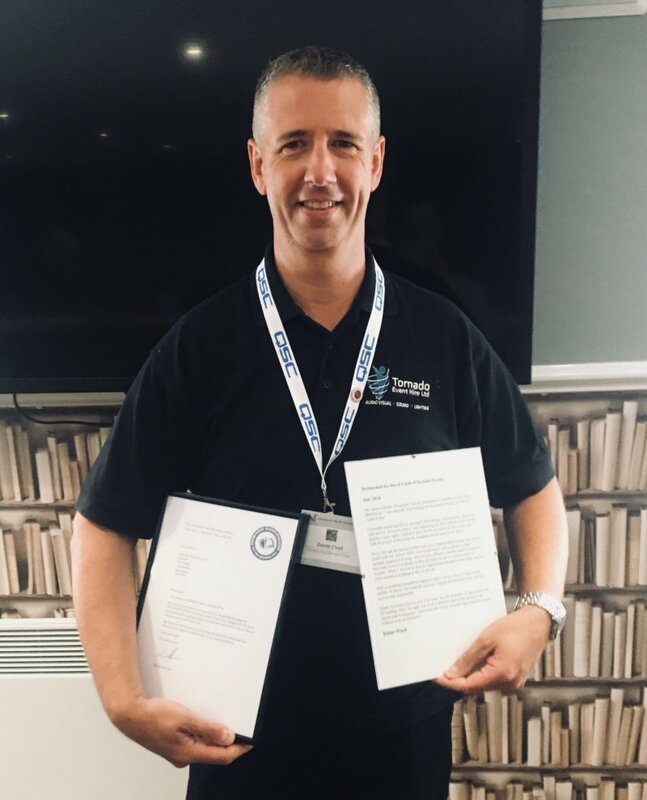 I believe that they listened to my requirements and made suitable and helpful suggestions as to what they could offer whilst remaining in a sensible budget. The equipment was well maintained and they were prompt and efficient when it came to delivery and assembly. I would definitely recommend this company to any friend! Kind regards, Ailsa – Wittering, Peterborough. August 2016. I would just like to say a massive thank you to the Tornado team for the large part you played in making our event such a success. You have been a pleasure to work with at every point of the process. 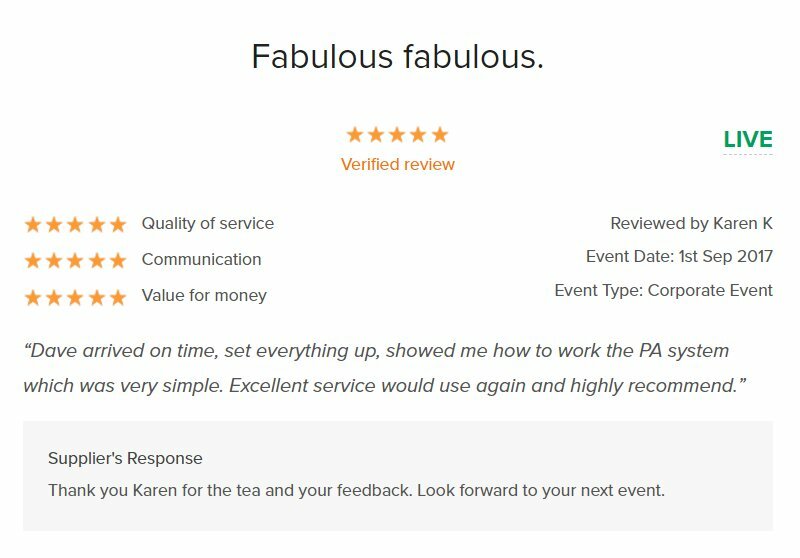 All my queries were answered promptly and you were flexible in letting us add to the order right up until the event. I look forward to my next event where I would use Tornado Event Hire again without hesitation. Thank you Dave for setting up the staging for the Great Ashby unplugged festival yesterday! Wired an absolute treat! You’ll be my first port of call in future. Turned up on time, worked efficiently to get the stage and equipment in place, and responded effectively to an unanticipated issue with the need for a power adapter with a trip to a local electrical outlet. Helped the guys who were sharing the power supply and patiently explained the workings of the sound system to our stage manager. Polite, resourceful and efficient service. 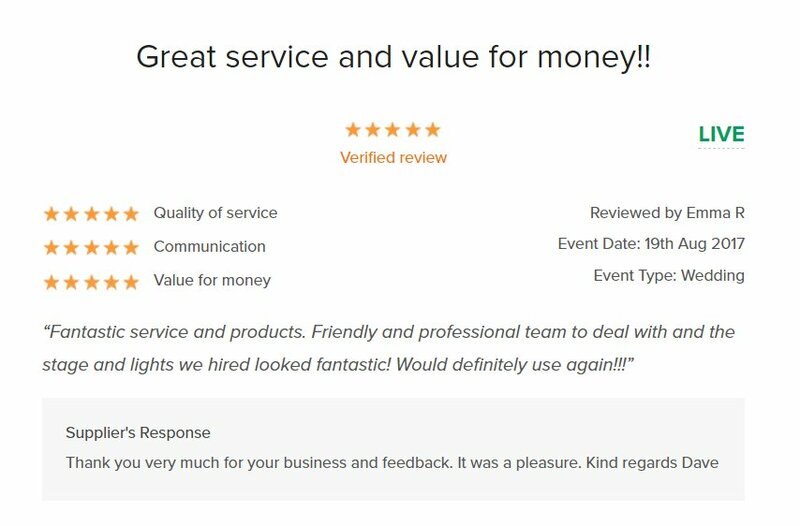 Overall excellent job, wouldn’t hesitate to hire you again or recommend you to colleagues. I’ve had some fantastic feedback about our World Mental Health Day event; many thanks for the part you played in making it a great success. 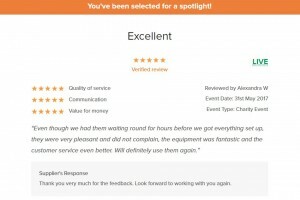 Tornado Events are very professional, they listen and produce exactly what you need in a very discreet way. I have used them for many years to stage my Beauty Pageant show. The Miss Hertfordshire heat is very prestigious and I cannot recommend them highly enough. From backcloths to lighting through to music and sound they have everything you could need. I hope to use them for many more years. Thank you so much for looking after us so well on Monday night. I think Showstoppers was a great success, and we have raised over £11,000 for Breakthrough! 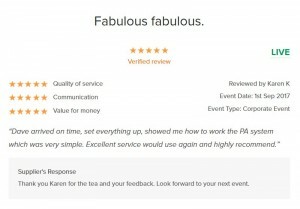 You were thoroughly efficient and helpful throughout, and I very much look forward to working with you again sometime.